I was invited back to help Matt Siri and Hyzerbomb create a Limited Edition disc for Nick Hyde Memorial fundraising efforts. I wanted to continue things that helped make last years stamp successful and put them into this years design. While I don’t want to rely heavily on reference, It was definitely needed this time around. While having experience shooting various munitions in the Marine Corps; I didn’t want to mix in wrong parts or screw up small details about the weapon the Marine is shooting. 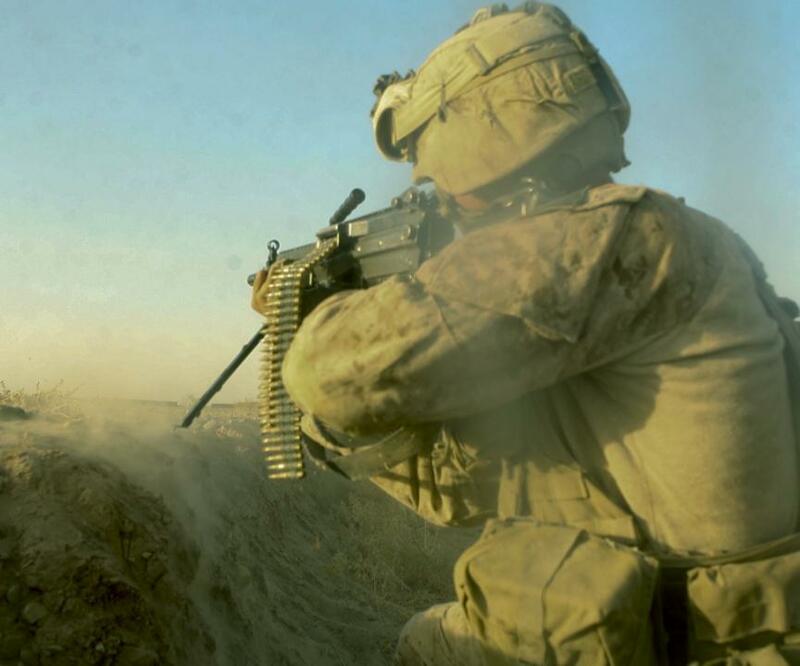 I found a fantastic image from John M. McCall that captured a Marine engaged in a firefight with an M249 Semi-Automatic Weapon. The overall shape worked well for stamp layout and would allow the signature clouds/ smoke from last year to make an appearance. It was important to me to keep this scene vague. No targets or houses to show where in the world this Marine was fighting. It leaves the design open to interpretation. 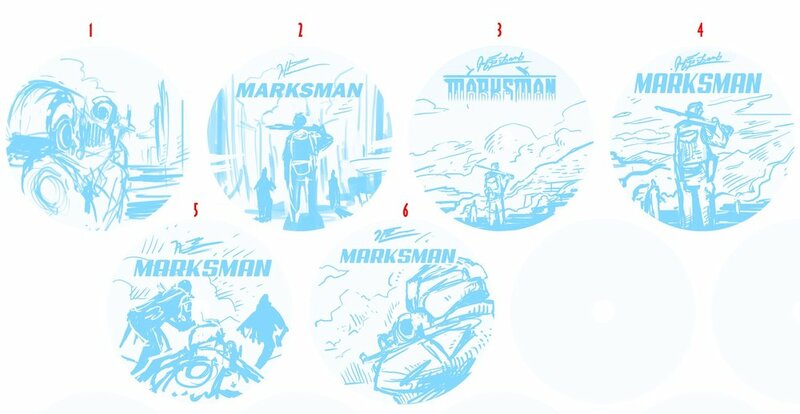 Having the helmet overlapping the “Marksman” text toward the far right kept the legibility intact and allowed that interaction. Why a machine gun over a sniper rife? - This is something Matt Siri asked me as well. 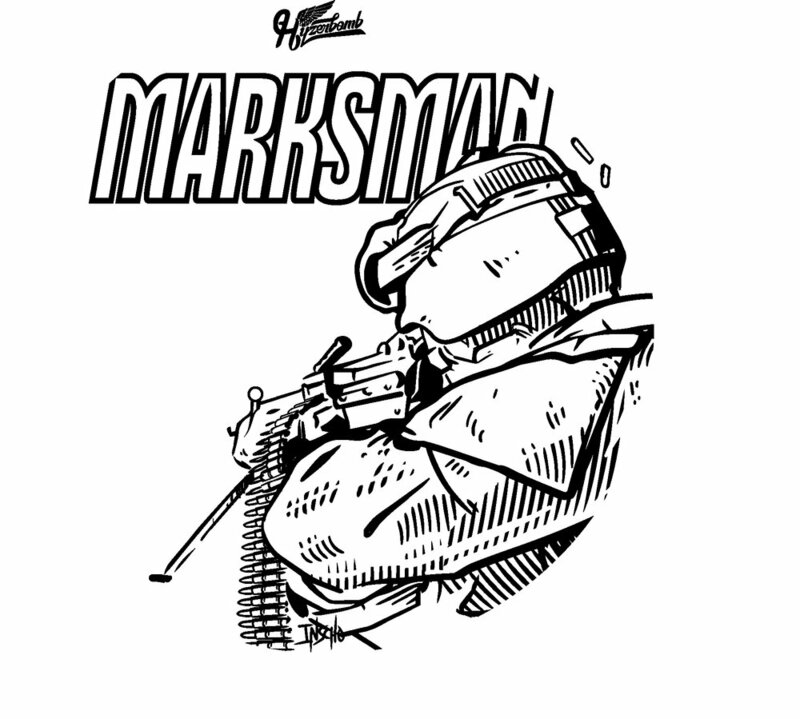 While every Marine is a rifleman, I felt like the sniper rifle and knowledge was out of range of my understanding. I do know that Scout Snipers in the Marine Corps shoot outstanding Expert scores at the rifle range. I felt keeping the weapon a machine gun keeps the gunner feeling like the common Marine. It added action to the scene and allowed the opportunity to add some flying “brass” shell casings coming out of the ejection port cover.